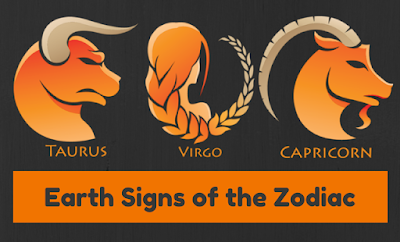 Signs are divided based on the five elements of body. Earth is one of those element. There are three signs of earth element. 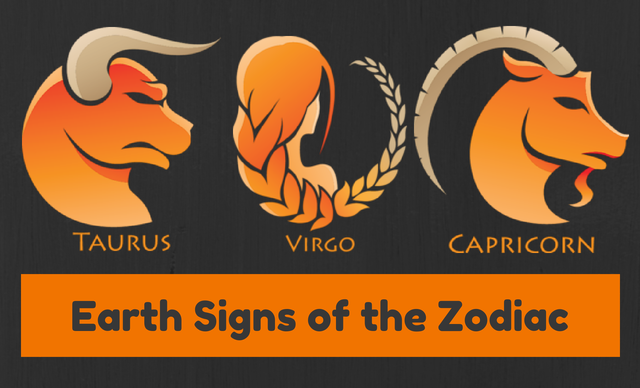 They are Taurus, Virgo and Capricorn. They are highly relates with Mercury. These signs are considered as rich, vaakpatu and beautiful. Taurus: Venus is the master of this sign. Moon is very powerful in this sign. Mercury plays an important role in this sign. This sign is considered as beauty, courage, self-confidence and wealth. Stubborness and anger is their weakness. Wear emerland by consulting an astrologer. Also, it is beneficial to worship lord Shiva. Virgo: Mercury is the master of this sign. Virgo is the biggest sign of earth element. They are clever, speech and management qualities. They are lucky in wealth matter. Selfishness is the their weakness. Wear opal or diamond consulting an astrologer. Also, chanting gayatri psalm is beneficial. Capricorn: Shani is the master of this sign. Mercury makes person intelligent. This sign makes person clever, maukaparast and rich. They are master in their subject. Arrogance is their weakness. Wear emerland by consulting an astrologer. It is also beneficial to worship lord Sun. Good Luck: One should sit under sunlight for 10 minutes if he/she is suffering with skin diseases.